Last year and the year before, my New Year’s resolution was the same. To exercise regularly at the health club. Both times I was derailed due to an unexpected surgery. Now that both surgeries are done and I am — literally –back on my feet, I am determined. I am determined to exercise regularly at the health club. We have a family membership, yet I’m the only family member who doesn’t use the health club. It’s funny since I was the one who got the family health club membership in the first place. When I exercise, I am bothered by All. The. Noise. The piped in music. The chatting at the front desk/entry way. The clang of the weights. The groans from people straining under those weights. The noise of feet pounding on a treadmill. I don’t wear headphones when I exercise. I used to wear headphones all the time. I stopped. I’m not sure why? Maybe the fit of the headphones bothered me. I really need to invest in some headphones for exercise to get fit. Now that the New Year is in full swing, I am making a commitment to exercise at the health club twice a week. I want to take my training to the next level. I want to be committed and motivated. I want to be fully engaged in the exercise process. I want to get the most out of my workout. Headphones will help me concentrate and be less distracted by All. The. Noise. Especially wireless headphones, like Jabra Sport Pulse Wireless Earbud Headphones. You can get the most out of your workout with Jabra Sport Pulse Wireless Earbud Headphones. 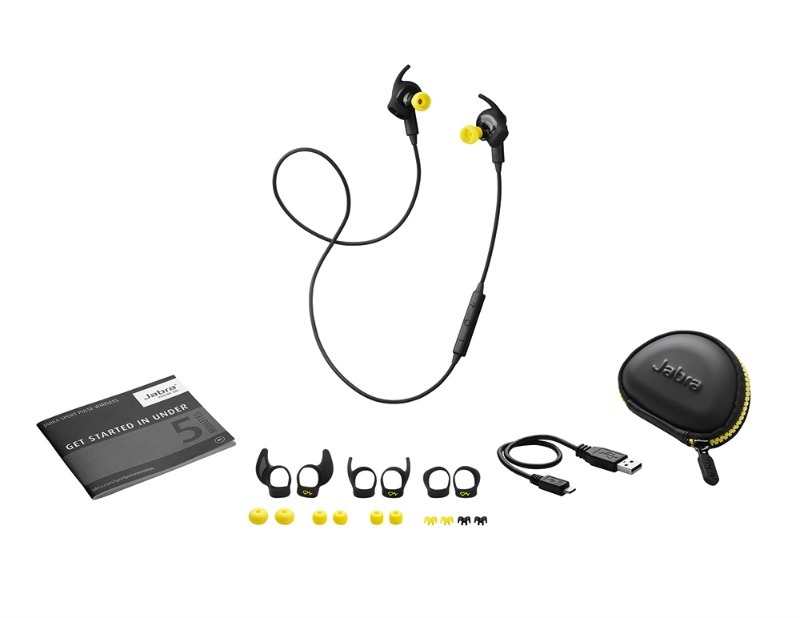 The Jabra Sport Pulse Wireless Earbud Headphones are wireless headphones and are available at Best Buy. The Jabra Sport Pulse Wireless Earbud Headphones (SKU 8954664) are an all-in-one training solution. Included is an in-ear biometric heart rate monitor, immersive Dolby® Digital sound, and real-time voice coaching. The Jabra Sport Pulse Wireless Earbud Headphones are U.S. Military grade. The built-in intelligent app — Jabra Sport Life — exercisers will also get the most out of their Jabra Sport Pulse Wireless earbuds, helping them plan, track and evaluate each workout. Jabra Sport Pulse Wireless Earbud Headphones inspire runners, cyclists, and exercisers of all types to beat their best performance. You can test your fitness levels and aerobic capacity, adjust heart rate zone levels to optimize training, and set goals based on distance, time or calories burned with Jabra Sport Pulse Wireless Earbud Headphones.